I hate and I love.' The Roman poet Catullus expressed the disorienting experience of being in love in a stark contradiction that has resonated across the centuries. While his description might seem to modern readers natural and spontaneous, it is actually a response planned with great care and artistry. 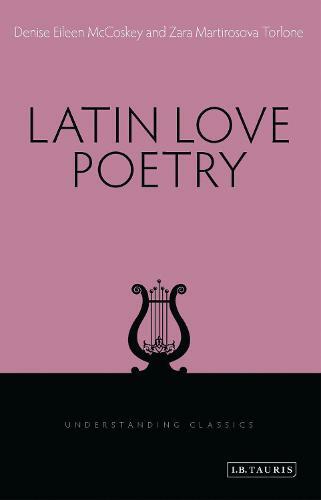 It is that artistry, and the way in which Roman love poetry works, that this book explores. Focusing on Catullus and on the later genre of elegy - so-called for its metre, and a form of poetry practiced by Tibullus, Propertius and Ovid - Denise Eileen McCoskey and Zara Martirosova Torlone discuss the devices used by the major Roman love poets, as well as the literary and historical contexts that helped shape their work. Setting poets and their writings especially against the turbulent backdrop of the Augustan Age (31 BCE-14 CE), the book examines the origins of Latin elegy; highlights the poets' key themes; and traces their reception by later writers and readers.